Summer is well and truly here and with it the first of a series of scorching parties the team at Puzzle HQ have lined up for the next few months. 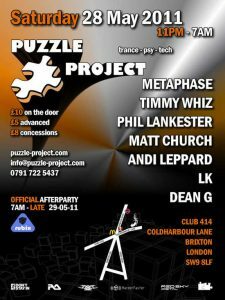 This month we’ll be taking our customary journey through the soundscapes of underground dance music and your tour guides will as always be Puzzle’s cracking team of residents – with a little help from their friends…..
A true legend, Metaphase aka Fabry has a special place in the memories of every clubber who attended the mighty Antiworld parties in London’s clubbing heyday. He’s rocked massive parties across Europe in Germany, Poland and Italy and has played as far afield as China. The Pointzero Records Head Honcho will be dealing some dancefloor damage with a selection of the very best in exclusive upfront psychedelic trance, make sure you don’t miss this renowned DJ in action! Another London scene stalwart both behind the decks and on the dancefloor, we’re delighted to have Mr Whizz down to play this month. Happily Timmy has recently become a father so in recent months has focused on parenting rather than partying. Well we’ve got him a weekend pass and booked him to play a tech-trance set instead of his usual hard dance style. Rest assured this party animal is set to go wild for this month’s party! Dean has been a regular feature on the London club scene in recent times. His Hidden Agenda party at Tonki Gorilla in Clapham has been going from strength to strength, showcasing some very fine progressive house and electro, while we’ve such confidence in his abilities as a DJ and promoter we’ve on two recent occasions handed him the reins to run Rubix, our affiliated afterparty, as a full party in place of our regular Puzzle parties. Dean will be playing a trance set and we can’t wait for him to show you what he can do! No party would be complete without London’s most talented team of residents! 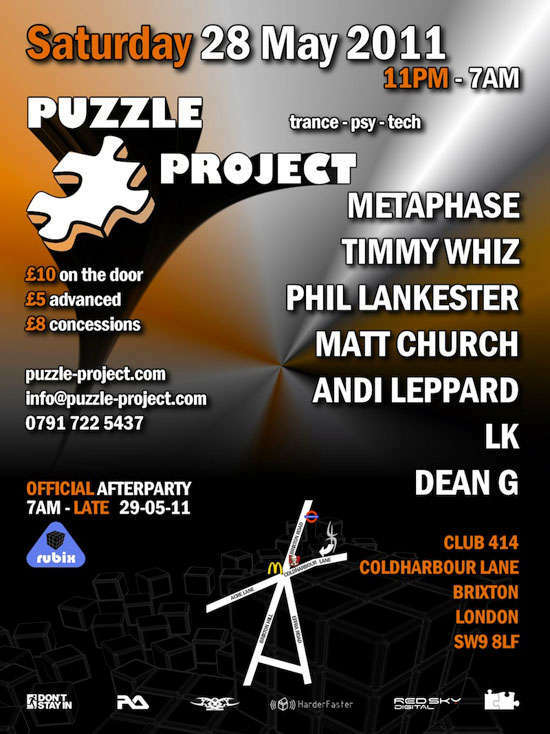 LK and the one and only Matt Church will be showcasing the very best in progressive house, tech and trance, while Halcyon regulars Andi Leppard and the incomparable Phil Lankester will be bringing the psychedlic noise for the Puzzle faithful as only they know how. Join us to kick off the summer season in style. Great music, a friendly crowd and a wild party atmosphere – all will be present and correct as usual! 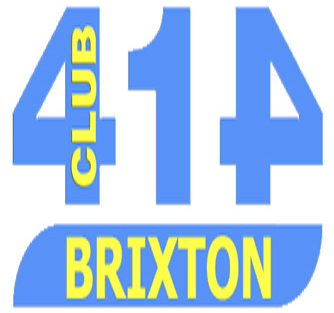 Don’t be the missing piece – come along and see why we’re London’s biggest small party!